Now that the holidays have past, it is time to focus on some fun. For the crafting enthusitic, Silhouette has a HUGE new year sale. 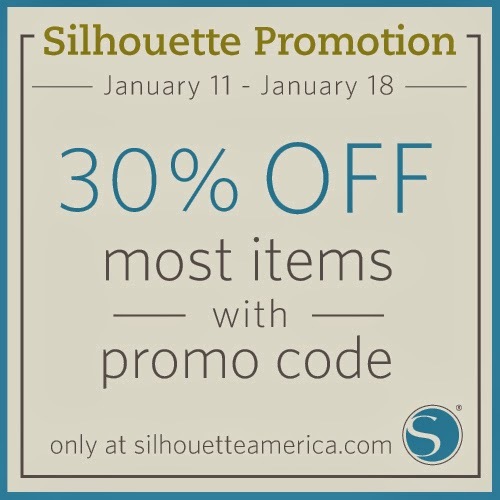 January 11 through January 18, there is a 30% savings at silhouetteamerica.com. Whether you need the Silhouette Studio Designer Edition Software or other supplies, it is on sale. Don't miss out on this promotion!